The sequel to Ridley Scott's 1982 sci-fi classic, Blade Runner, sees the return to the age-old questions of what does it mean to be human, and what would you do to preserve your identity. Director Denis Villeneuve takes audiences on a new adventure with Blade Runner 2049, through the eyes of a Blade Runner known as K (Ryan Gosling). In the year 2049, Earth is an over-industrialized, tech-dependent world. For every overpopulated metropolitan area, there is also a barren wasteland of scrap metal and monuments to match it -- a reminder of a different time. As a Blade Runner with the LAPD, K is sent out to decommission artificial beings (known as replicants) whose service periods have ended, but because of their open-ended lifespan, their lives have not. Not willing to die, they often go on the run in an effort to preserve their existence. But after K is assigned to decommission replicant runner Sapper Morton (Dave Bautista), he stumbles upon a secret that affects not only his future, but the future of all human and replicant-kind alike. K's life then intertwines with the past of a Blade Runner before him, Agent Rick Deckard (Harrison Ford). Both come together in a fight for the future against the nefarious plans of Wallace Corporation CEO Niander Wallace (Jared Leto), the premiere replicant manufacturer who wishes to take the next step in evolution for his replicants. But like many things, it comes at a steep price. What ensues is a fantastic sci-fi film filled with twists in a storyline that will keep any viewer entertained. It's not an easy watch -- viewers need to piece events together as the movie plays -- which reminds you of the complex subject matter at hand. What is easy to watch are actors Ryan Gosling and Jared Leto in their respective roles -- they truly stand out in this film. Both are outstanding at delivering characters who have controlled responses, but what makes them so good is their ability to still display a strong level of emotion underneath -- a sort of quiet rage. In particular, you can sense the depth of evil contained in Leto's calm and calculated character, who seemingly views life as both precious and expendable. The visuals and audio of the film are outstanding. They are ghostly and eerie, but beautiful at the same time -- the trademark of a Denis Villeneuve film. The sounds and the sets reflect the film well, effectively making the viewer simultaneously uncomfortable and curious, which is no doubt the feeling one would have living in Blade Runner 2049's version of the world. While this film draws on many of the same themes as its predecessor -- the perils of technology, over-industrialization, humanity, artificial intelligence and identity -- it doesn't quite have the same emotional gravity as the first film. Regardless, the film is stunning and poignant, especially in our time of growing dependency on technology and thirst for knowledge of the next step in evolution, which seems to be an artificial one. 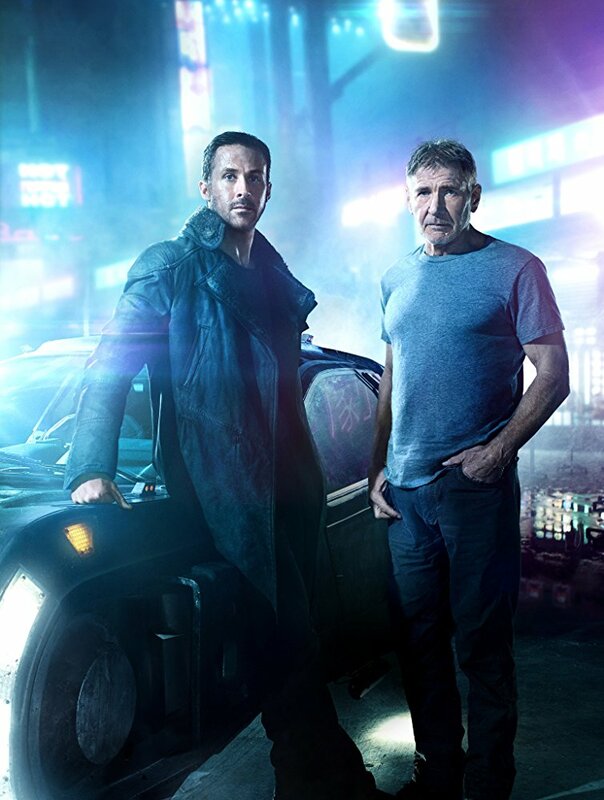 With a solid storyline, cast and top-notch visual and audio effects, Blade Runner 2049 is a worthy addition to the sci-fi genre and Blade Runner story. Anything with Ryan Gosling in it gets me to the theatre! Saw the first Blade Runner and found it incredibly depressing. I will not be going to see this one, have NO interest in it. I am both excited and apprehensive about seeing this movie. The original remains the best sc-fi movie ever made, with its quest for understanding what the true nature of humanity is, our essence. Ridley Scott managed to make a movie with amazing visuals which are still top notch even by todays standards (save for the references to companies that didn't make it as big as was projected "Atari"), with a soundtrack that is completely immersive. Hopes are high! I liked it ALOT! Special effects, storyline, and soundtrack I thought was awesome!